Good Thursday morning on this 3rd of September. very typical of where I live! plus the fact I was itching to use a new Harvest House paper pad!! 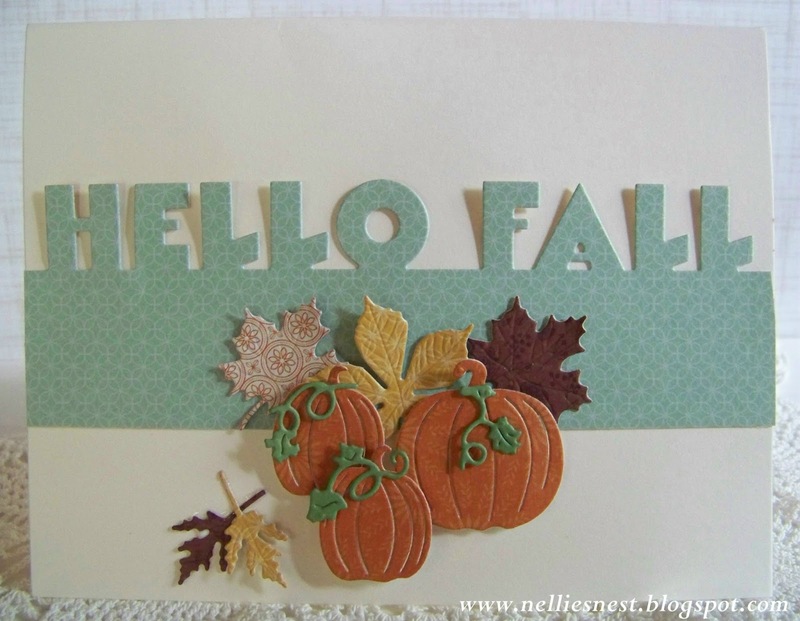 using a Die-Versions Express Edges die I just received called "Hello Fall". I just love these dies and you will see it here again! but I wanted to keep the card simple to mail. 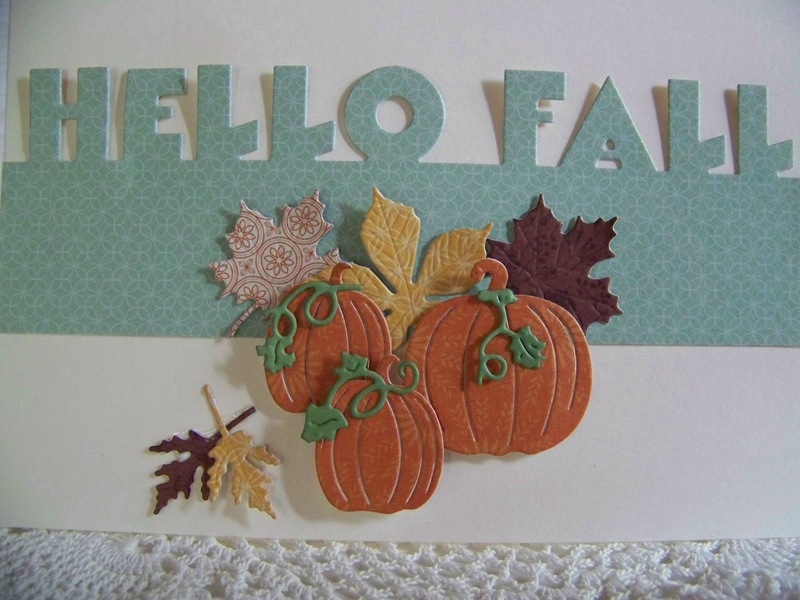 a few Cheery Lynn Designs Fall Pumpkins. Monday - Friday for a new inspiration project each day. there are new things coming in all the time!